The next PTP I am writing, on Harrier Projects, is about 50% written. As with my P.1216 book, it will be based on interviews, archival research and many years of Harrier obsession, all illustrated with original artwork, model pictures and diagrams. Thoughts welcome on what folk would like to see - there's masses of stuff and whittling it down to 48 pages involves hard decisions! Yay! Thanks Mike, really looking forward to this one. 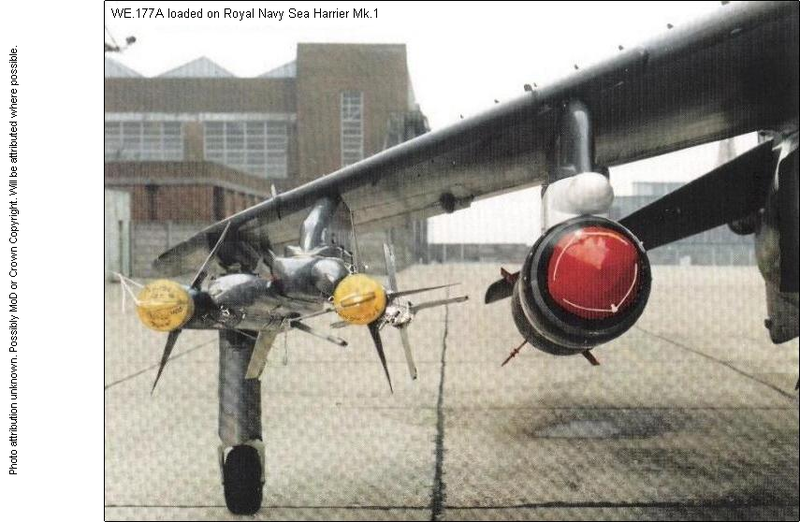 Never heard of a Sea Harrier FRS.3 proposal before, was this a big winged and re-engined FRS.2 or AV-8B+ ? Looking at the back-end of this year for the next PTP, which should be "The Air Staff and AEW". The PTP team have been side-tracked onto another job. Thanks to everyone who has supported our efforts. Any suggestions for improvements? Perhaps a ZIP of A4 resolution drawings could be offered as a download for verified purchasers of the books, somewhat like Scott is doing with his APR Blog? I could host it for free, so there'd be no cost. Could have a ProjectTech Profiles sub-forum, even. Regarding the different reception of the P.1216 book and AEW book, its early days still, but I think a quick look in any aviation bookshop will show a predominance of books on fighters. For many people, fighters are "sexier" than naval AEW aircraft. I think you'll find P.1121, AFVG or SR.177 volumes would be popular for instance. I don't think its any reflection on the relative merits of the writing and presentation. Since we started the PTP, only five people have requested copies of the drawings, two of them are the usual suspects. I like nothing better than seeing my drawings turned into models, be they hard or soft. Even better when they form the subject of a two-page spread in a model mag! I draw the masters at A3 and reduced so the big drawings are available already. I see AFVG mentioned above, but is there any mileage in specifically Tornado material? Or is that still too current to be accessible? Tornado?! In a Harrier thread???!! I've not researched Tornado, and currently the PTPs are written after me or Chris have spent a good few years looking into something. I have looked into AFVG, but can't see a book on that as there was not much work done on it. Hey, I am a massive fan of AEW aircraft, and special mission aircraft across the board- in fact I find the Nimrod/V-Bomber SR/Comet Elint history more fascinating than much of the fighter history! I concur about a Tornado book but I think that subject requires something more along the lines of Damien's epic TSR-2 work. The aircraft was so important in recapitalising the RAF in the 80s and correcting the mess caused in the 60s, not to mention the number of iterations the programme went through, that a truly in depth history of it is required. There are a number of other (to me at any rate) interesting projects that I would love to read more about - P103 to name but one. It was a fascinating platform and would've been spectacular to see but whether there's enough material for a book though? I think there is scope for two very big volumes, the first taking the path to Tornado (AFVG through to Tornado and proposed projects of it) and another that does the same for what became Typhoon- just my musing though. But seriously, there are lots of ideas for books (although big volumes cost a packet and take forever) but I'd like to keep this thread to suggestions for the Harrier projects book. Maybe another thread can be started on 'book suggestions' - perhaps Damien Burke or someone who has done time in the Warton archives could do a Tornado book? P.103 is briefly looked at in my P.1216 book, and illustrated with the N1 version from 1985, although Roy Boot and Tony Buttler also covered its earlier incarnations. A fair amount of model and simulation work was done on it, but the obvious failure mode of one engine out, plus some issues of HGI (perversely pointing the intakes up was not a way to avoid HGI) scuppered it, plus Warton moving on to Eurofighter. As for ideas for the Harrier PTP, I'd really like to see more about all the tweaks proposed and developed to improve the Harrier's capabilities that never saw service. Things like LERX, LIDS, lengthened intakes, wingtip rails/extensions, RCS and if the VAAC control system was ever consider for service. This sound very interesting and a book like this needed to be done on the Harrier. My question is, When will it be avialable??? Just thought of the ASW Harrier idea. Was this really studied or just something I read in a techno thriller? "The Hunt for Red October"? Dsadow: Available ASAP. Target is July, if house move, new day job and birth of baby allow time! 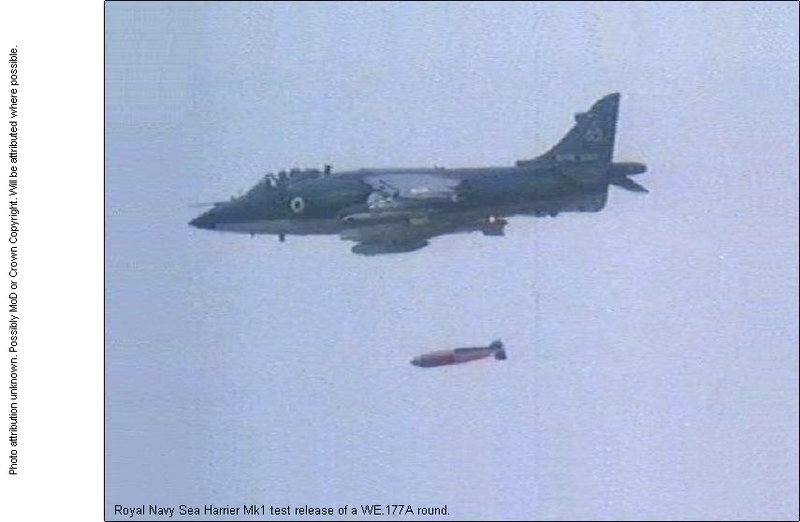 SteveO: Sea Harriers were looked at for ASW. Some work was done on using them to drop a sonobuoy barrier in a 'fast response' mode, or to drop light torpedoes in a similar way (i.e. detection of a threat the ASW helos missed). However, I think that was mainly a sales/PR exercise. Thank you for response so quickly!! and Congratulations on all 3 events !! May they all be to your liking!!! Target is July, if house move, new day job and birth of baby allow time! Good luck with all of the above, does it mean you have changed locations again BTW ? Geoff - no big move, still in Manchester. At least the logistics will be managable but you still have a very busy period ahead of you. Good luck with getting the Harrier projects written in between all of the above, now i see why Harrier Projects were the best choice for your next book . If your aiming to be ready by July does that mean that the PTP The Air Staff & AEW will be looking at a winter publishing date ? I've been sidetracked onto a biger project, but not as big as Mike's. Air Staff and AEW will be delayed, hopefully available in the autumn. Lucky actually as I've recently turned up more new material. The book will be later than expected as someone came along a little sooner than expected. James Bartholomew Pryce was born on 2nd October. Mum and son are doing fine. His middle name is from an uncle who worked at Hawkers in Kingston, from the days of the Hurricane to the Harrier, and who got me interested in all things with wings. My new research assistant was supposed to be getting up to speed with his work but fell asleep on the job! Congratulations Michael! I don't think anyone could begrudge you a delay with a new arrival to keep you busy. Great job with his middle name too! Hi, It's been awhile since we have heard anything, How's the Harrier book coming along? Mike's still busy with the ankle-biter. Hopefully, having Harrier GR.3 (and Trans-Atlantic Air Race veteran) XV744 outside the office in the new job will help with the inspiration! So you are going to be at Shrivenham then, good luck the new job Michael! Given that Northrop Aircraft had the US license to the P.1127 until they delivered it to McDonnell-Douglas, will you be dealing with the Western Museum of Flight to go through the Northrop design office files to see what, if anything, they did with that license? In any case, I'll most definitely be looking forward to this book. Just a further thought along these lines, perhaps an "American Harrier" book, starting with the VZ-12 and XV-6A, moving through what projects, if any, Northrop looked at while they had the US license (note, from what I have read, the how and why of their obtaining the US license is a good story in itself), and then what studies McDD-St. Louis did on their own. Odd humorous thought regarding a civil Harrier, particularly based on the P.1199: 1st class - in the cockpit behind the pilot; Business class - in the tail; economy class - EXINT Pods under the wings. At the start of the new year,2015, How IS the book coming along now. Any new updates on avialability yet ????? Any news about this book? Last week I finally took a look at the folder it is in! Once I actually do anything on it i'll let you know. In the meantime, Tony Buttler's new 1127/Kestrel book is great.